Made from ultra-durable 1000D polyester nylon, this M.O.L.L.E. 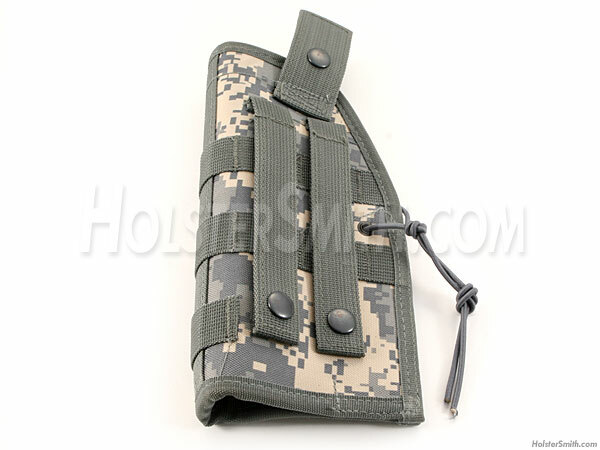 compatible tactical pistol holster features bar-tacked stress points, double and triple stitched seams and features an adjustable thumb snap retainer with removable single front mag pouch. The closure on this model uses a front snap. 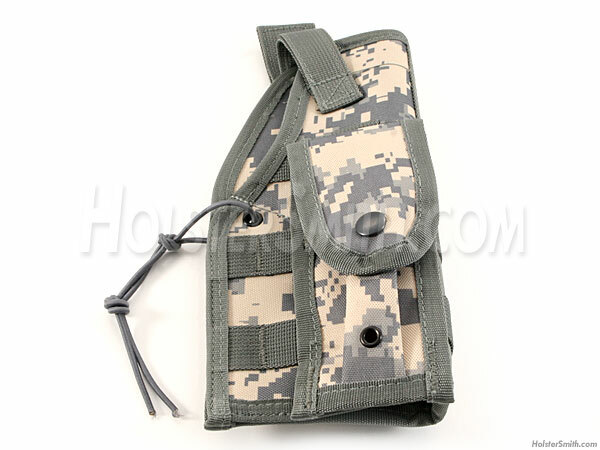 It is patterned inside and out with ACU Digital Camo design and is reinforced. Both rear M.O.L.L.E. straps feature snap closures. 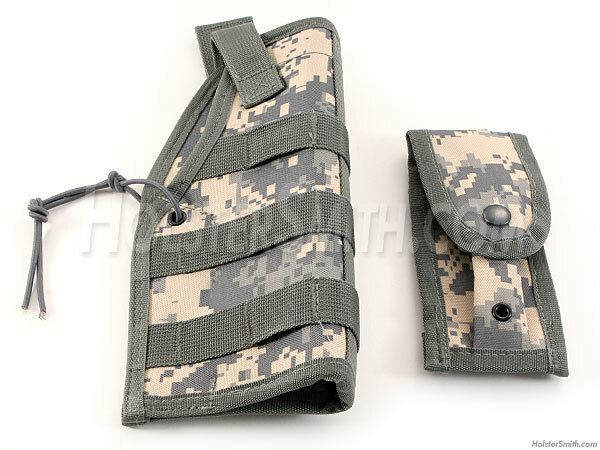 This tactical holster model is designed to fit Beretta 92 F and 45 ACP 1911's.